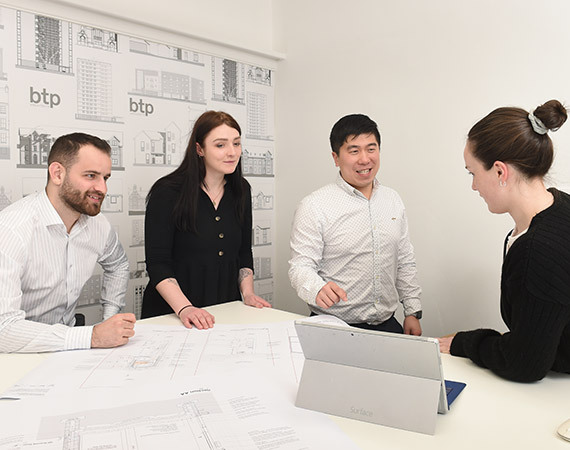 From our offices near Manchester, we design and deliver projects throughout the country for clients across a range of sectors, including housing, commercial, conservation and education. Founded in 1947 as the Bernard Taylor Partnership, today our projects range in scale from multi-million pound housing developments, through to the restoration of churches and historic buildings to commercial premises and schools. We appreciate that good working relationships are fundamental. This is why we invest time and energy working closely with our clients, building users and local communities to create special places to live, work, learn and play.